The retailing of damaged or outdated products have always been difficult and to help brands in this task, factory outlets and out-of-town stores located on several key highways of the country and city outskirts, play an important role. For consumers, these stores also allow them to get brands of their choice at prices 15 - 40 per cent lower vis-a-vis those sold on the high street. 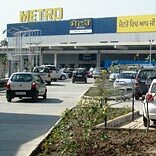 are present in this segment including Mega store, Promart, Brand Factory, Loot Mart, Loot and Brands R Us, while internationals chains include Best Price, Metro and Bookers. Brands when establishing factory and out-of-town outlets prefer locations that have lower rents vis-a-vis those in key locations in a city. In addition, the store should have large floor spaces and sufficient ceiling height, power back-up and adequate parking, apart from ease of access from different parts of the city. Store rentals at these out-of-town locations are typically Rs 70 – 90 per sq ft per month, and their daily business is to the tune of Rs 35 -40 per sq foot. Factory outlets are typically in the range of 1,500 – 2,500 sq ft. The stores set up should be relevant to the target audience including college students, young working executives and large families, as well as those seeking ‘value’. And, with the steady growth in footfalls at these stores, both domestic and international brands cannot ignore this growing segment of the retail industry.